The Shower Tray of a variety of dimensions,tie-in different Shower Room ,make the whole shower room more high-end and beacutiful.When you are enjoying the bathing time ,the shower tray with oueltet well solved the draingage problem.The bottom of the shower tray with MDF and PVC pipes ,which make the shower tray high quality and durable. Deliver time: After order confirmed and deposit paid, normally need 30~35 days. Q: Why you need to choose Waltmal? Q: Can you do both of OEM and ODM? A: Most of our productions are based on OEM, but we also can follow exactly what our customers required, that means we can provide ODM service to our customers. Just sending us your idea, then we would make a prototype and drawing, after you confirmed and mold fee paid, we will begin to open mold. Normally need 25 days to make a new mold. Model cost is negotiable. 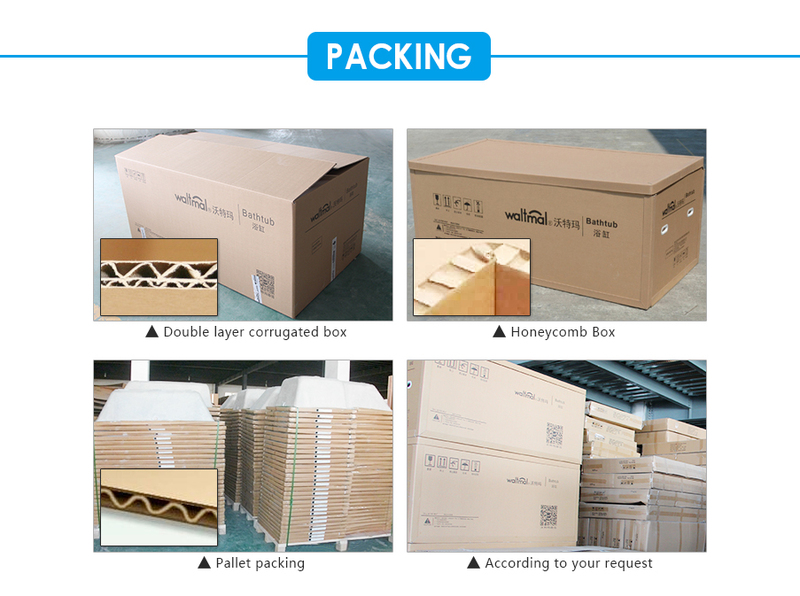 A: Our factory locates in Fenghua, Ningbo, it is around 40 minute driving from Ningbo International airport. 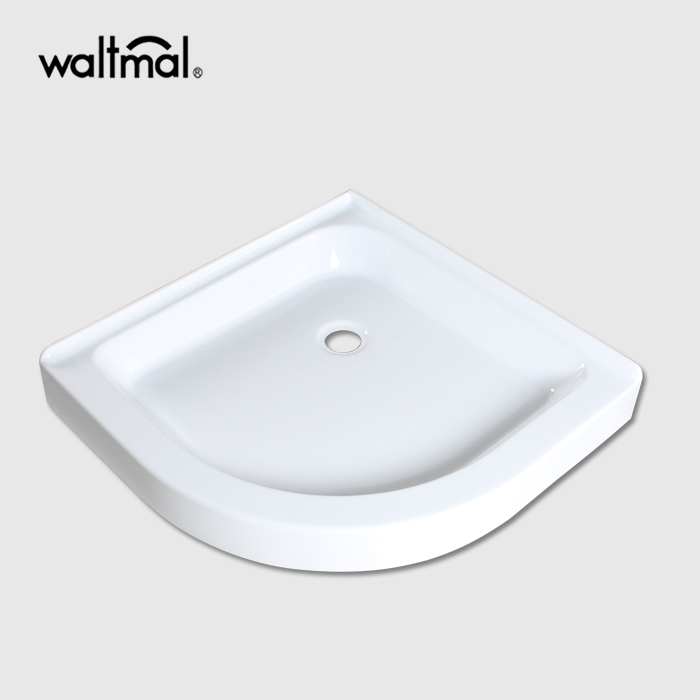 Established in 2005, WALTMAL offers a broad range of bathtubs, shower bases and shower enclosures that provide the unique style, lasting quality to our customers. By meeting rigorous quality and durability standards while offering a wide variety of product shapes, sizes, styles and prices. WALTMAL has independent development ability, not only can we open new molds according to market trend, but also can we make any customized molds. 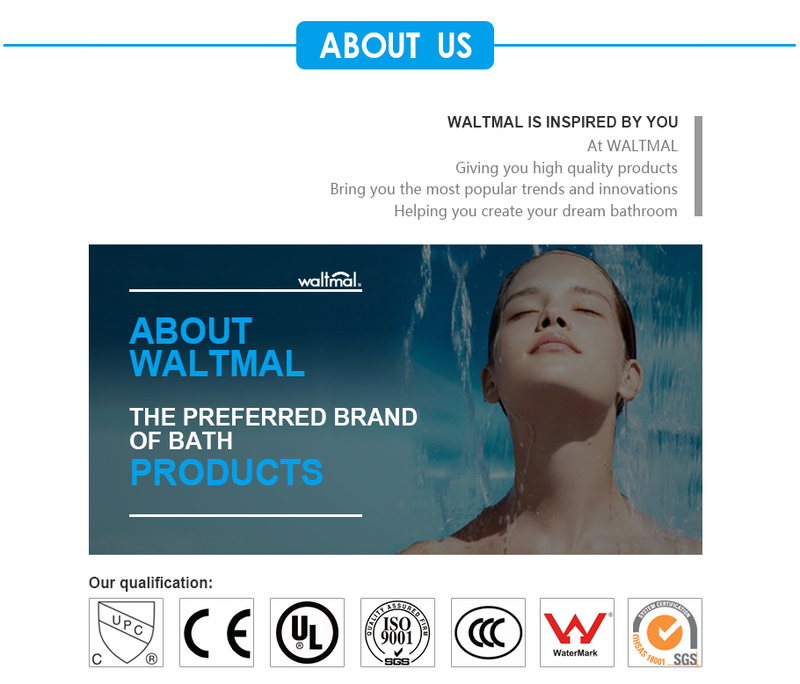 WALTMAL aims to be your brand of choice for bath products. Looking for ideal Durable Shower Tray Manufacturer & supplier ? We have a wide selection at great prices to help you get creative. All the High Quality Shower Base are quality guaranteed. We are China Origin Factory of Cheap shower pan. If you have any question, please feel free to contact us. Copyright © 2019 Ningbo Waltmal Sanitary Wares Co., Ltd. All rights reserved.